This is the Video for All project home page where the resources are held. There is also a facebook group to join. Today is the video age, with many possibilities for integrating video in to language learning. Language learning is a multi-sensory process and video allows communicative learning skills, listening, speaking, reading and writing, with one resource. 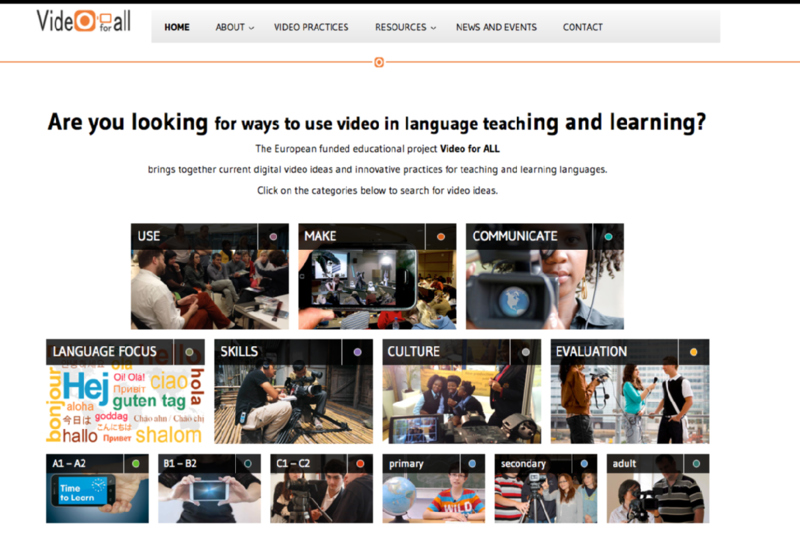 Video for ALL will be the European project that will bring together all current methodologies, ideas and innovative practices to teach and learn languages by integrating digital video. The project believes that video must be a basic tool for a more multidisciplinary approach to language teaching and learning in today’s world. Steve would welcome any PhD students who want to investigate the use of video in teaching English language or in training teachers.